Dr Ting (Cain) Zhang received a Bachelor Degree in electronics engineering and Information Science from University of Science and Technology of China (UTSC), Hefei, China, in 2007, and a Ph.D. 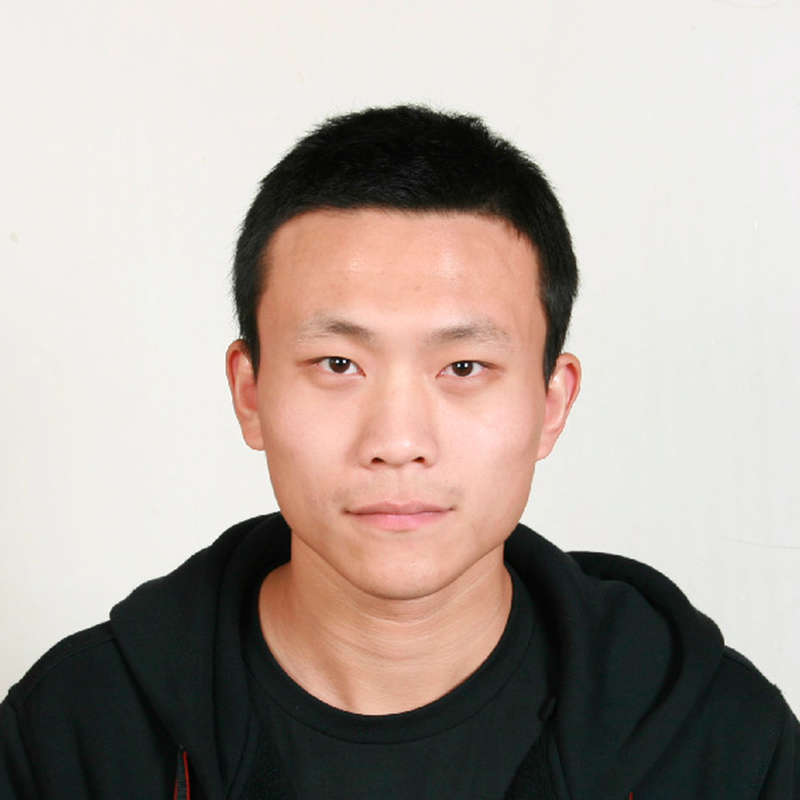 Degree in Microelectronics and Solid-state Electronics from Unversity of Chinese Academy of Science in 2013. From 2013 to 2016, he was a Postdoctoral Research Fellow in Commonwealth Scientific and Industrial Research Organisation (CSIRO), Australia. From 2016 to 2017, he was a Postdoctoral Research Fellow with University of Technology Sydney (UTS). From 2017, he has been a Chancellor's Postdoctoral Research Fellow with UTS. His research interests are in the areas of wireless components, devices, circuits and systems for wireless communications, from microwave to THz frequencies. © 2019 IEEE. This paper presents a dual-band on-chip antenna-coupled high-T c superconducting (HTS) Josephson-junction subterahertz (THz) fourth-harmonic mixer. The antenna utilizes a couple of different structured twin slots to enable the resonant radiations at two frequencies, and integrates a well-designed coplanar waveguide network for achieving good radiation coupling and signal isolation characteristics. The electromagnetic simulations show that coupling efficiencies as high as -4 and -3.5 dB are achieved for the 160- and 640-GHz operating frequency bands, respectively. Based on this dual-band antenna, a 640-GHz HTS fourth-harmonic mixer is developed and characterized in a range of operating temperatures. The mixer exhibits a measured conversion gain of around -18 dB at 20 K and -22 dB at 40 K, respectively. The achieved intermediate frequency bandwidth is larger than 23 GHz. These are the best results reported for HTS harmonic mixers at comparable sub-THz frequency bands to date. © 2002-2011 IEEE. We report the full electromagnetic (EM) design and simulation method, and applied it to develop a 34-GHz high-temperature superconducting (HTS) microwave monolithic integrated circuit Josephson mixer. The mixer is modeled in EM simulation software, high-frequency simulation structural simulator, with the junction area modeled as an excitation port with frequency-dependent impedance. Impedance matching between the junction and RF/IF ports is then optimized accordingly. Module design is carried out for the optimized HTS Josephson mixer, and the cavity resonance issue is investigated and eliminated. The HTS mixer module was experimentally developed and measured to verify the simulation. The measured frequency response of the conversion gain agrees with the simulation results of combined RF and IF transmission loss. © 2016 IOP Publishing Ltd. We report modeling and simulation results for a Ka band high-temperature superconducting (HTS) monolithic microwave integrated circuit (MMIC) Josephson junction mixer. A Verilog-A model of a Josephson junction is established and imported into the system simulator to realize a full HTS MMIC circuit simulation containing the HTS passive circuit models. Impedance matching optimization between the junction and passive devices is investigated. Junction DC I-V characteristics, current and local oscillator bias conditions and mixing performance are simulated and compared with the experimental results. Good agreement is obtained between the simulation and measurement results. © 2016 Federal Australian Crown copyright. A high-temperature superconducting (HTS) terahertz (THz) frequency down-converter or mixer based on a thin-film ring-slot antenna coupled YBa 2 Cu 3 O 7-x (YBCO)/MgO step-edge Josephson junction is reported. The frequency down-conversion was achieved using higher order harmonics of an applied lower frequency (19-40 GHz) local oscillator signal in the Josephson junction mixing with a THz signal of over 600 GHz, producing a 1-3 GHz intermediate frequency signal. Up to 31st order of harmonic mixing was obtained and the mixer operated stably at temperatures up to 77 K. The design details of the antenna, HTS Josephson junction mixer, the matching and isolation circuits, and the DC and RF performance evaluation are described in this paper. © 2002-2011 IEEE. A high-temperature superconducting (HTS) terahertz (THz) heterodyne mixer based on a thin-film antenna-coupled YBa 2 Cu 3 O 7- x step-edge Josephson junction is presented. The frequency down-conversion from 0.6 THz to an intermediate frequency (IF) of 2 GHz was achieved using high-order harmonic mixing of a local oscillator (LO), thus removing the need to use a second THz source as the LO pumping source. The DC and RF characteristics of the harmonic mixer as well as the relationship of the IF output power versus the harmonic number were experimentally studied and compared with simulated results. Most of our measurements were made at 40 K, but we also observed stable harmonic mixing at 77 K which we believe has not been reported previously in HTS junction mixers. © 2017, Springer Science+Business Media, LLC. This paper presents a systematic investigation of a broadband thin-film antenna-coupled high-temperature superconducting (HTS) terahertz (THz) harmonic mixer at relatively high operating temperature from 40 to 77 K. The mixer device chip was fabricated using the CSIRO established step-edge YBa 2 Cu 3 O 7-x (YBCO) Josephson junction technology, packaged in a well-designed module and cooled in a temperature adjustable cryocooler. Detailed experimental characterizations were carried out for the broadband HTS mixer at both the 200 and 600 GHz bands in harmonic mixing mode. The DC current-voltage characteristics (IVCs), bias current condition, local oscillator (LO) power requirement, frequency response, as well as conversion efficiency under different bath temperatures were thoroughly investigated for demonstrating the frequency down-conversion performance. © 2002-2011 IEEE. Modeling, simulation, and measurement of a compact 36 GHz high-temperature superconducting (HTS) monolithic Josephson junction mixer are presented in this paper. A full HTS microwave monolithic integrated circuit (MMIC) simulation was carried out for the circuit combining HTS passive devices and the Josephson junction. Optimal impedance matching and bias conditions were investigated, and the circuit layout was designed accordingly. The HTS circuit has a compact dimension of 5 × 4 × 0.3 mm 3 , including filters, resonators, and impedance matching circuits. The HTS MMIC mixer was fabricated and packaged with an LNA to realize a receiver front end with a total dimension of 28 × 25 × 15 mm 3 . Measurement result showed an overall conversion gain around 35 dB, with local oscillator driving power around -45 dBm at operating temperature of 40 K.
© 2017 IOP Publishing Ltd. This paper presents a wideband terahertz (THz) mixer based on a thin-film antenna-coupled high-temperature superconducting (HTS) YBa 2 Cu 3 O 7-x (YBCO) step-edge Josephson junction. The HTS mixer enables the flexible harmonic mixing operation at multiple THz bands with the same microwave local oscillator (LO) source, and features very wide intermediate-frequency or instantaneous bandwidth. In order to optimize the frequency down-conversion performance of the mixer, systematic electromagnetic design and analysis have been carried out to improve the power coupling of THz radiation as well as wideband transmission of microwave signals. Experimental characterization of a fabricated device prototype has demonstrated that the mixer exhibits good performance at both the 200 GHz and 600 GHz bands. Detailed measurement results including the DC characteristics, LO pumping requirement, frequency response, mixing linearity and conversion gain are presented in this paper. © 2017 AU-Crown. This letter presents both theoretical and experimental investigations on the noise and conversion performance of a high-T c superconducting (HTS) step-edge Josephson-junction mixer at the frequency of 0.6 THz and operating temperatures of 20-40 K. Based on the Y-factor and U-factor methods, a double-sideband noise temperature of around 1000 K and a conversion gain of -3.5 dB were experimentally obtained at 20 K. At the temperature of 40 K, the measured mixer noise and conversion efficiency are around 2100 K and -10 dB, respectively. The experimental data are in good agreement with the numerical analysis results using the three-port model. A detailed performance comparison with other reported HTS terahertz mixers has confirmed the superior performance of our presented mixer device. © 2016 IEEE. The Commonwealth Scientific and Industrial Research Organization has developed superconducting microwave monolithic integrated circuit (MMIC) mixers using step-edge Josephson junctions and on-chip filters, made from YBaCuO on MgO substrates. Integration into an MMIC results in a compact and efficiently coupled structure. These have been shown to have outstanding conversion efficiency, dynamic range, and linearity. We report here a range of simulations of this type of mixer. We have mainly used Josephson simulators and analyze the data in both the time and frequency domains. More recently, we have also used microwave simulators incorporating a novel Verilog-A Josephson junction model that we have developed. We have looked at the interactions of junction bias current, local oscillator power, and radio-frequency input power with conversion efficiency, dynamic range, and linearity. Good agreement is found overall with measurements. © 2014 IEEE. We report the first demonstration of a portable HTS monolithic microwave integrated circuit (MMIC) receiver front-end module operating on a commercial mini cryocooler. The HTS circuit consists of a step-edge junction mixer and a number of HTS filters fabricated on a single MgO substrate. The HTS MMIC circuit is integrated with the mini cryocooler. The sample vacuum chamber, cold-head, compressor and cooling fans are all packed into one customer-designed portable box of approximately 350 mm × 350 mm × 250 mm in dimension. The HTS Josephson junction-based microwave circuit operated successfully in the cryocooler unshielded without observable performance degradation. The design and implementation of the compact unit and performance evaluation of a HTS MMIC frequency down-converter are presented. © 2014 IEEE. A compact, high-gain, and low-noise Ka band HTS Josephson junction-based receiver front-end module for wireless communication is presented in this paper. The front-end module consists of biasing circuits, a semiconductor low-noise amplifier, and a monolithic HTS circuit consisting of an Josephson mixer, bandpass and lowpass filters. The semiconductor LNA in the first stage is applied to achieve a low noise figure of the whole front-end module. Integration of the Josephson mixer with a number of HTS passive components on a single chip improves the coupling efficiency and reduces the connection losses between the components. The total dimension of the packaged front-end module is below 25 mm × 20 mm × 15 mm, which is very compact. Measurement result shows that the front-end module has an overall conversion gain around 40 dB, and a low noise figure close to 0 dB with an LO driving power around -38 dBm at 40 K.
© 2014 IOP Publishing Ltd. A high-Tc superconducting (HTS) monolithic microwave integrated circuit (MMIC) Josephson down-converter that approaches zero conversion loss is reported. The all-HTS YBa2Cu3O7-x thin-film circuit consists of a step-edge Josephson junction mixer, a 10-12 GHz bandpass filter for the RF input, a lowpass filter for the IF output and a resonant strip line for local oscillator isolation; all are integrated on a single 10 mm × 20 mm MgO substrate. The DC characteristics of the junction and its mixing properties have been experimentally studied and compared to the results of (a) a single Josephson mixer without the on-chip HTS filters, and (b) our previously reported MMIC down-converter which had very different junction characteristics. The Josephson junction parameters are analysed to give insight into their effect on the mixer performance. A compact low-complexity high-selectivity high-temperature superconducting (HTS) microstrip bandpass filter is presented in this paper, which consists of only three half-wavelength resonators. A novel coupling scheme is used to provide a pair of transmission zeros outside the passband, so that the selectivity of the filter is improved. The filter is fabricated on an MgO substrate with YBa 2 Cu 3 O 7-x (YBCO) coating. Measurement result shows an in-band insertion loss at 0.5 dB, a sharp slope, and a stopband rejection better than 20 dB. The compactness and high-selectivity features make the filter suitable for on-chip integration of HTS receiver front-ends. © 2013 Published by Elsevier B.V. All rights reserved. A compact high-T c superconducting monolithic microwave integrated circuit Josephson down-converter is presented. The circuit consists of a single Josephson junction mixer, a bandpass filter, a lowpass filter, and a resonator for local oscillator fabricated on a single 10 mm × 20 mm chip of YBa 2 Cu 3 O 7-x film on MgO substrate. The down-converter demonstrates superior performance in terms of conversion efficiency, dynamic range, linearity, and low local oscillator power with stable operation from 20 to 77 K. A maximum conversion gain of -4.7 dB was measured at 20 K and -12.8 dB at 70 K. © 2013 Crown. A high-temperature superconducting (HTS) Josephson frequency down-converting module is demonstrated. An HTS monolithic frequency down-converting circuit and a biasing circuit board for the Josephson device are packaged into the module. The monolithic circuit consists of HTS filters and a Josephson oscillator-mixer device, integrated on a single 10mm×20mm chip of Y Ba 2 Cu 3 O 7x (YBCO) film on MgO substrate. A compact, low-loss HTS step-impedance low-pass filter was designed for the intermediate frequency (IF) output port. The modeling, simulation and measurement results of the HTS low-pass filter are presented in this paper. The frequency response and dynamic range of the on-chip integrated HTS down-converting module are also described. © 2012 IOP Publishing Ltd.
A compact high-T c superconducting (HTS) monolithic downconverter is presented. The HTS passive and active devices are integrated on one single chip to achieve compactness and high coupling efficiency. The downconverter consists of a HTS YBa 2 Cu 3 O 7-x (YBCO) bandpass filter for RF input, a lowpass filter for IF output, and a self-pumped step-edge Josephson heterodyne mixer fabricated on a 20 ×10mm MgO substrate. Characterisations of the HTS filters and the frequency response of the on-chip integrated downconverter are reported. The results demonstrate the potential of the HTS downconverter for applications in wireless communications. © 2012 The Institution of Engineering and Technology. A monolithic microwave integrated circuit (MMIC) frequency down-converter based on a compact high-T c superconducting (HTS) device is demonstrated. The on-chip integrated HTS down-converter consists of a 7-9 GHz bandpass filter for RF input, a lowpass filter for intermediate frequency output, and a self-pumped Josephson heterodyne mixer. All the above passive and active components are fabricated on a single 10 mm × 20 mm chip of YBa 2 Cu 3 O 7-x film on MgO substrate. Characterization of this MMIC HTS down-converter in terms of frequency response, conversion gain, frequency-tuneability, bias dependence, dynamic range, linearity, and intrinsic noise are presented in this paper. © 2012 Crown. Experimental evaluation of a high-temperature superconducting Josephson heterodyne mixer based on a resistive-SQUID configuration is reported. The device consists of two YBa 2 Cu 3 O 7-x step-edge Josephson junctions connected via a small resistor in an otherwise superconducting loop. It has been previously shown to generate a heterodyne oscillation, which is frequency-tunable by a control current through the resistor. Under certain conditions, this device can operate as a frequency-tunable heterodyne mixer (down-converter) in the presence of an RF signal. In this paper, we describe the operation of the autonomous Josephson mixerlocal oscillator device and present the experimental results on the mixer performances in terms of the junction currentvoltage characteristics, the frequency tunability, linearity, and dynamic range as well as their temperature dependence for signal frequencies from 1 to 5GHz. © 2012 IOP Publishing Ltd.
We have recently developed a high-temperature superconducting (HTS) Josephson self-pumped mixer with an on-chip heterodyne local oscillator. The device is based on HTS step-edge junction technology and a resistive- superconducting quantum interference device (RSQUID) configuration. The heterodyne local oscillator and mixer output are frequency-tunable from below 10 MHz to 5 GHz by a control current. The performance of the autonomous Josephson mixer-local oscillator has been experimentally evaluated in terms of the current-voltage characteristics, intermediate frequency (IF)-tunable bandwidth, operation range, linearity, bias current, and temperature dependence of the IF output (or mixer conversion efficiency). We find the results are in good overall agreement with numerical simulation. © 2012 American Institute of Physics. © 2018 IEEE. We present, in this work, a new thin-film antenna-coupled high-temperature superconducting (HTS) Josephson-junction terahertz (THz) mixer that demonstrates superior performance at frequencies around 0.34 THz. A novel dual-meander-slot thin-film antenna is designed to significantly improve the antenna-junction impedance matching and thus more efficient coupling of the THz signal power. Theoretical and experimental investigations are carried out to evaluate the mixer performance. This mixer can be applied to the sensitive THz wireless receivers. Gao, X, Zhang, T, Du, J & Guo, YJ 2018, '300-GHz Dual-Beam Frequency-Selective On-Chip Antenna for High-T-c Superconducting Receivers', 2018 INTERNATIONAL SYMPOSIUM ON ANTENNAS AND PROPAGATION (ISAP), International Symposium on Antennas and Propagation (ISAP), IEEE, Busan, SOUTH KOREA. This paper presents a broadband terahertz (THz) high-temperature superconducting (HTS) mixer based on a log-periodic antenna-coupled YBa2Cu3O7-x (YBCO) step-edge Josephson junction. The THz thin-film antenna, as well as the microwave coupling circuits, have been carefully designed to optimize the power transmission from and into the junction while realizing good isolation between the DC bias, local-oscillator (LO) and intermediate-frequency (IF) ports. This mixer device has been fabricated, packaged and characterized to demonstrate a frequency down-conversion capability with a view to potential application in THz wireless communication systems. A newly designed pattern reconfigurable Fabry-Perot cavity antenna is presented in this paper. The reconfigurability is achieved by employing a phased array with a reconfigurable feed network as the source of the FPC antenna. The design can switch its main beam direction between ™10° and 10° with respect to the broadside direction from 5.36 GHz to 5.76 GHz. The realized gain of the proposed antenna is over 11.6 dBi. Good agreement between the simulated and measured results is achieved. © 2014 IEEE. High-T c superconducting (HTS) materials have ultralow surface resistance values at microwave frequencies, which have been applied to make high-Q resonators and 'super filters' with narrow-bandwidth, low insertion losses, and superior out-of-band rejections. The second important property of HTS materials is related to low-noise Josephson junctions made from the HTS thin films. In recent years, novel nonlinear high-frequency devices, most of them exploiting the unique features of the AC Josephson effect, have been developed. Applications of the HTS devices based on Josephson junctions have been extended from lower electromagnetic bands (microwave) into mm-wave and terahertz, regions. An overview of CSIRO's recent research activities and achievements in developing novel HTS devices for applications to wireless communication and imaging is presented in this paper.